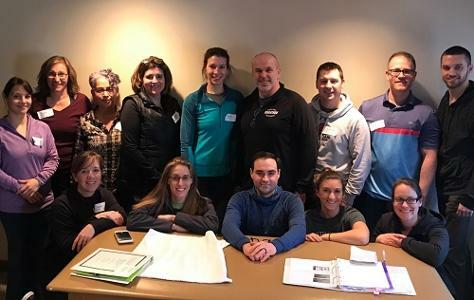 Paula Webster, PT, invited us into her Canton, CT, clinic for the weekend to host Postural Respiration. This was one of the most unique clinics I’ve seen: a renovated 1812 home, with its original bee hive fireplace, whose previous owner was involved in the abolitionist movement. 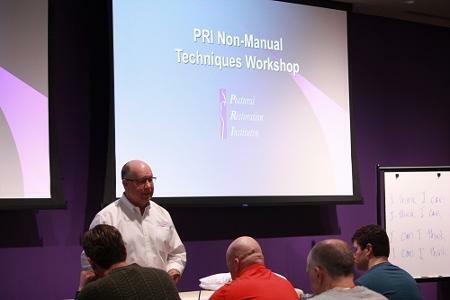 This was the first PRI exposure for close to half of the participants. It was also a first for me to have a gastroenterologist in attendance, Dr. Kiran Sachdev, who provided insights into the connection between GI issues and patterned respiratory mechanics. Discussion opened with the asymmetrical diaphragm and its role in patterned lumbo-sacral-pelvic mechanics below and rib and humeral-glenoid mechanics above, driving us into L AIC and R BC patterns that direct air flow patterns and influence every physiologic system in the body. As always, the concept of the Zone of Apposition, as needed on the left, was thoroughly defined. This left ZOA indicates left lower ribs that are held down, in, and back to lateralize the body to the left and enable healthy air flow directed into the left posterior mediastinum and right apical areas. With a sufficient ZOA, the left hemi-diaphragm is able to regulate and balance thoracic pressure and abdominal pressure so that its dual roles of respiration and stabilization are preserved. 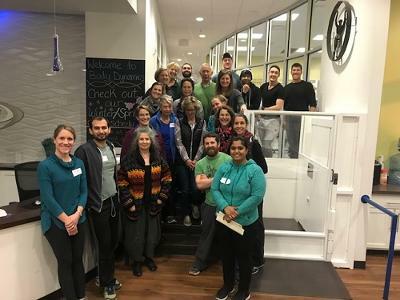 We emphasized the three-dimensional function of the abdominal-pelvic and thoracic cavities, and discussed numerous examples of “deflated, converged” cages and thoracic flat back posture, presentations that require over-activity of necks, bellies, and backs to breathe. 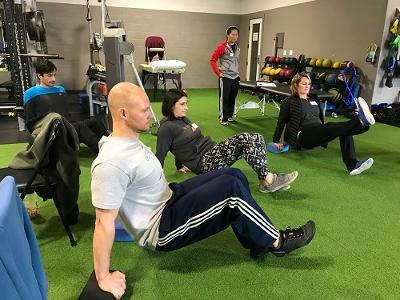 Then it was off to the gym for lab time, to practice PRI’s objective tests, including the new "posterior mediastinum respiratory reach test", along non-manual and manual techniques. Attendees put their hands and minds to work to facilitate and experience the powerful sense of rib cage expansion and freedom. How apropos to sense this freedom within a former abolitionist’s home! 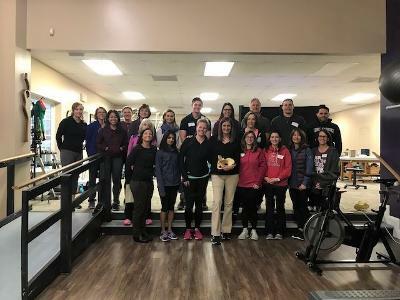 Thank you to Paula’s Canton PT colleagues, Jeanne Daubert, DPT, Heather Mogielnicki, OT, and Shanya Stearns, DPT, for welcoming us into your clinic and tending to the nitty-gritty to help the course run smoothly. Thank you to Robert Barksdale, DScPT, FAAOMT, for your crucial A-V assistance. I also appreciate the willingness of everyone to act as models for various demonstrations. You were a fun group to hang out with all weekend! We recently were made aware of four journal articles that use PRI techniques to study the effects that they have on lumbopelvic pain, knee osteoarthritis pain, illiotibial band tightness and chronic low back pain. 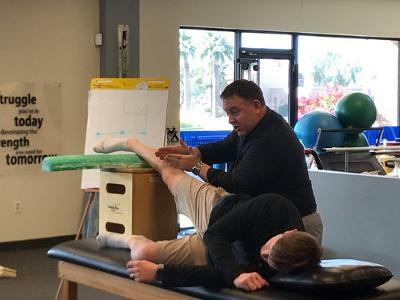 We are excited to see the growth in research for techniques that PRI Therapists have been using clinically for years. All of the articles below are available free of charge. To view all of the articles click here.